In my current role, more than twenty testers report to me. All of them were fresh college grads when I joined as project manager two years back. 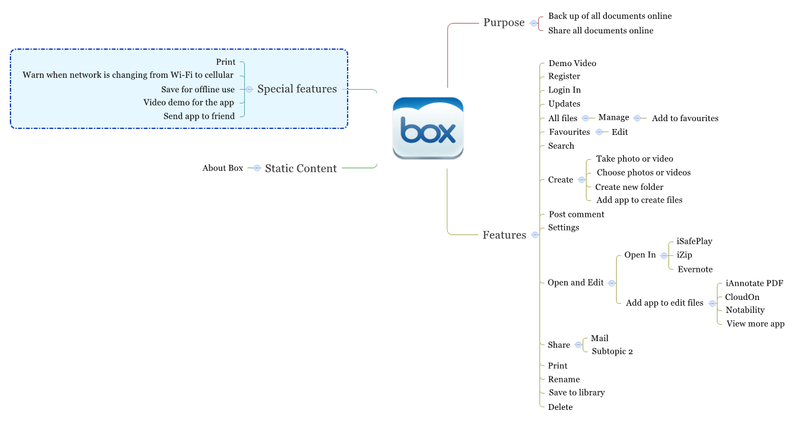 They are constantly encouraged to blog, use mindmaps, share their learning and apply heuristics while testing. 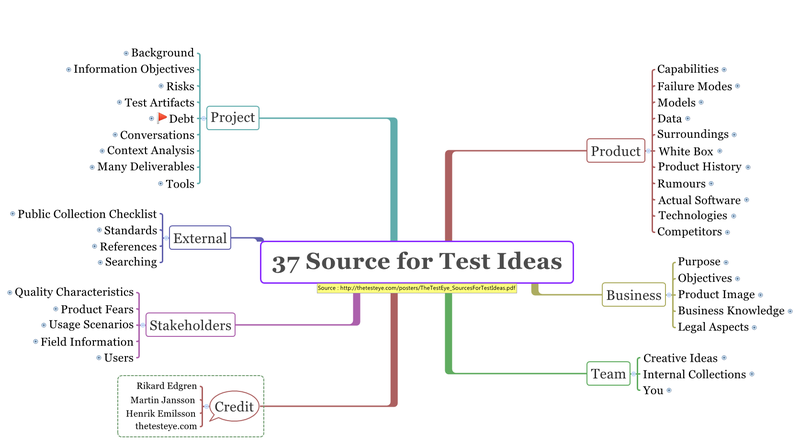 All important testing conferences, testing articles and testing contests are shared with the team regularly. And, I regularly discourage them doing QB certifications, even though company encourages certification. Recently, One of the testers from my team attended an interview. The interview was for an American IT services giant. During the interview, he was asked why haven’t he done any QB certification, according to the interviewer that is just 40 simple questions to be answered and it’s easy to get certified. This guy replied if that is the case, can he become a doctor by answering 40 simple medical questions. I felt very proud of what he did and what I am doing to the young testers. Oh! Curious to know the interview results? He got selected. The trend has changed. Now, having a QB certification is too mainstream. Testers who don’t have any certification are very less and they are standing out among the crowd. This is a screenshot of address change option from a bank customer online portal. Is there a problem? If yes, why? It’s been more than four years since I started testing & managing mobile app projects ranging from the eBook app, eCommerce apps, food ordering apps, travel apps and news aggregator apps. This includes the creation of test strategies, hands-on testing, mentoring new testers and testers moving from web testing and even building a mobile testing practice. I am enjoying testing more than ever after getting into mobile app testing. The recent blog post from Katrina Clokie on Mobile pathway triggered to share some exercises that can help your mobile testing work enjoyable. Playing Games One of the better ways to get acquainted with mobile technology is to play mobile games. I had terrible time coaching testers who were new to the industry. Coaching them testing concepts like test strategy, tests, SBTM and test coverage, HIG, Android fragmentation was not getting well with most of them. I was playing and addicted to The Room game then. So, decided to experiment by asking testers to play it. The next day I asked [forced] a couple of testers to play the game and take notes while playing, then to write an experience report after completing the game. Testers face reaction changed from surprise [when told them to play], anxiety [when they opened the game], thrilled [when the complete the training mode] and excitement [after cracking each puzzle]. It took a couple of days for them to finish the game after testers felt more confident to explore new stuff. From then on it became the first activity when I start coaching mobile app testing. This opens up a whole new world of mobile to new [mobile] testers. There was pin drop silence during this exercise in CAST tutorial, in spite of Michael Larsen’s presence ;-), as delegates focused so intense in playing the game. A few months back, I was coaching a young tester outside of my job, and this is what she wrote. Exploring Apps The mobile world is creative & sleek. The hardware integrated feature combined with touch interface encourages the designers to unleash their creativity. When testers explore various apps from the iOS and the Android marketplace, they learn how problems can be solved creatively and efficiently compared to the web. This helps in changing the tester’s mindset, especially if they are switching from web testing to mobile. 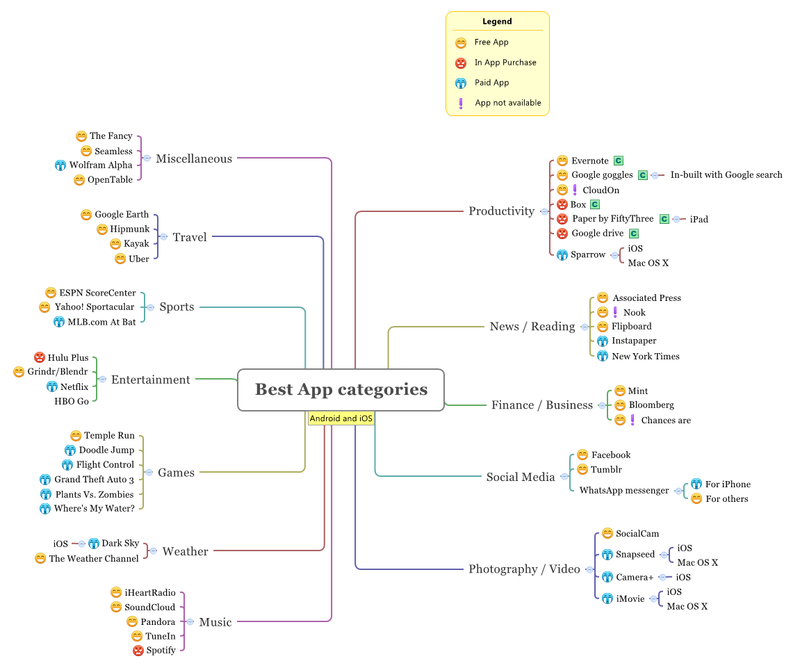 Some of the ways to find exciting apps are looking at the top rated apps from each app category and analyse to understand the reasons behind their success, search apps from featured categories, top 10 apps, Apple or Android recommended apps, apps that won design awards. Here is an example of how exploring apps can help bug advocacy or recommendations to improve UX. 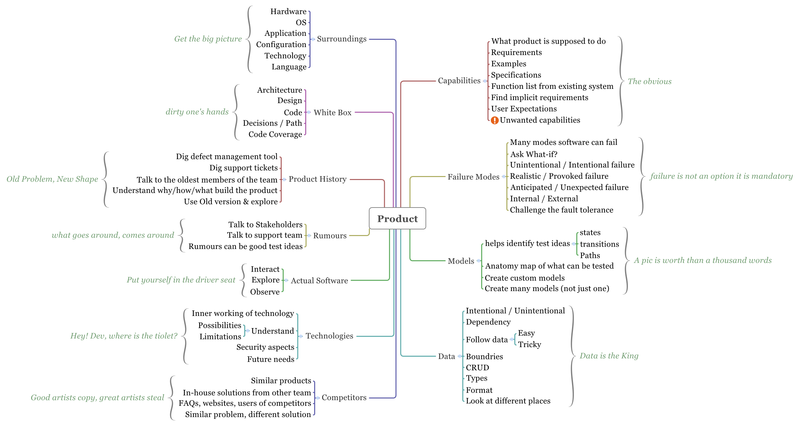 Below is a portion of a screenshot of mindmap from exploring some top apps. Jailbreaking / Rooting If playing games and exploring apps help in understanding the power of mobile apps, rooting an Android phone and jail-breaking an iPhone contributes to gain a better insight of operating systems and file systems. During this exercise, one has to read and explore few online resources, which in turn open up learning and understanding few more mobile tricks and terminologies. Read them on your smartphone. Explore and find apps those are creative and easy to read news feeds. Be a Fan Boy Connecting the dots, I am being an Apple fan, regularly involve on debates over Android Vs Apple in Twitter and many other forums. This forced me to read a lot about mobile technology. Later helped me to perform better when given the responsibility to set up a mobile testing division. It’s not possible for everyone to become a fanboy or cult follower of a technology company or product. But it has its advantages. It’s hard to be a fanboy of Android and Apple unless you are Nandagopal ;-). There are many sites like CultofMac, Android Police that brings exclusive and exciting stories, start following them. P.S: When I was about to post this I see James Bach’s reply to a tweet on how he forced himself to enjoy reading books on Kindle, these exercises are some of the ways to (try) forcing yourself to enjoy mobile app testing. @ilarihenrik I also felt that way until after I forced myself to read a good novel on the Kindle. Since then I enjoy it. I was invited to do a two-hour workshop on mobile application testing at the #NYCTesters July Meet. I was thrilled and excited to speak in the gorgeous New York City. The workshop was on Modelling Mobile Apps and the LONG FUN CUP model. So, started to shape model the session and planned to cover these during the seminar. The modelling of the audience helped to recognise that some people are new to testing. So, it became necessary to explain what is a Model and why modelling is required during testing, before the start of the workshop. The venue was not hard to find, Google Maps helped not only to reach the place but also to explain about model & the importance of modelling. 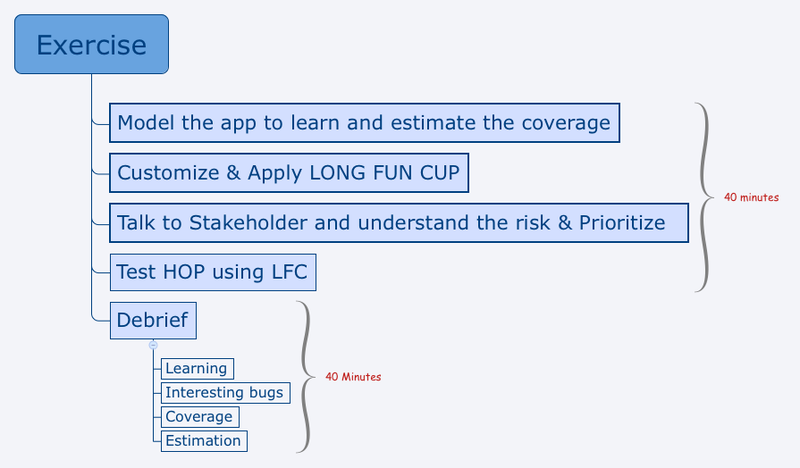 Followed by a demonstration on how to model a mobile app & apply LONG FUN CUP test model to it. Later, the audience was given a mission to work for 40 minutes, then debrief. I acted as the stakeholder, and the debriefing was interactive, participants discussed enthusiastically with lots of observations and bugs. Personally, it was a good learning for me in many ways, as I was doing it for a totally new audience. Later the discussion continued in the nearby bar with some bottles of IPA. That’s the beauty of hanging around with passionate professionals. Now, looking forward to me full day tutorial at CAST 2015. Typing on the mobile device keypad is harder compared with a physical keyboard. An app that gets minimum input from users will easily win users’ heart. The reasons are the keypad is smaller & user needs to toggle between alphabets, numbers, special characters and to change the letter case. 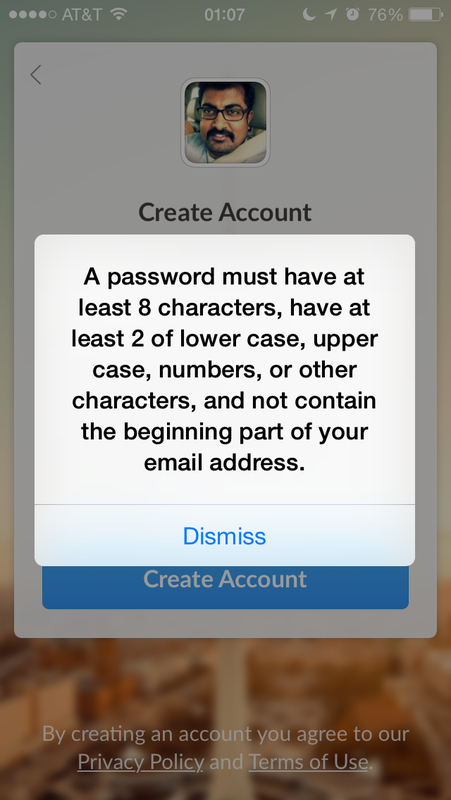 Because of this, the password setting pattern is changing after the popularity of mobile apps. I stumbled upon a claim from a To do list mobile app, that it is the simplest To do list mobile app, so decided to give a try. The tester instinct within me never sleeps, especially if I see these two words mobile and simple. Being a big fan of Jony Ive, I always look for the simplest and cleanest of things. In general, most apps work fine if the user makes no mistake. But, the user experience starts degrading the moment user makes mistakes. This is true for most of the apps. I make this conclusion based on the apps I test and use. My user experience test report always includes the experience, once when the user never makes any mistakes and once running the same scenarios by making all possible mistakes. When I tried with a password that didn’t meet the app’s password rule, here is the error message I got. For those who still think, it’s fine and the message is not so bad, users has to read and dismiss the message to enter the text, there are better solutions. Before scrolling down to see the embedded video, think for a while if we can provide a better solution. This is how Dashlane app solved it. It didn’t take more than 20 seconds to set the password. More importantly, the app avoided user from making mistakes. This is how a Context Driven Tester thrives, always exploring, observing, relating and learning. Also, the mobile application testing needs a different approach compared to traditional desktop softwares. My CAST 2015 tutorial on Mobile Application Testing has more such things to offer. CDT and CAST are always close to my heart. I have had a fantastic run with the CDT community and take pride in being a part of the CDT family. I always enjoy meeting and learning from this community that does what is dependable, but not what is easy. In CAST 2014 I gave a 40-minute lecture and met a lot of wonderful testers. 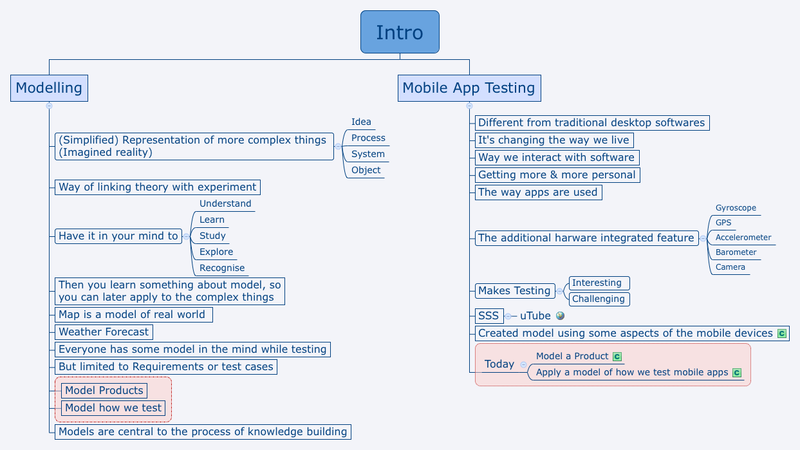 This year I am taking one full day tutorial on Mobile app testing and mind maps. This tutorial was a suggestion from the master, James Bach after he sat through my talk in CAST 2014. This is what he stated after my talk “DS; this content is worth a two-day workshop.” The workshop will be a blend of my last year talk and the tutorial I conducted in 2013 EuroSTAR. I am glad that I am capable of doing a full day tutorial in CAST 2015. 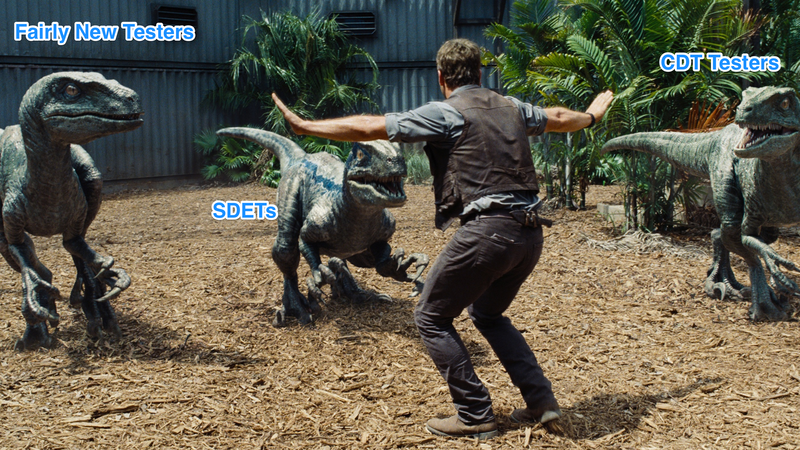 This year’s theme is moving testing forward, and I believe mobile testing is a moving forward topic. This and This blog post would give an insight of what you can expect from this tutorial. 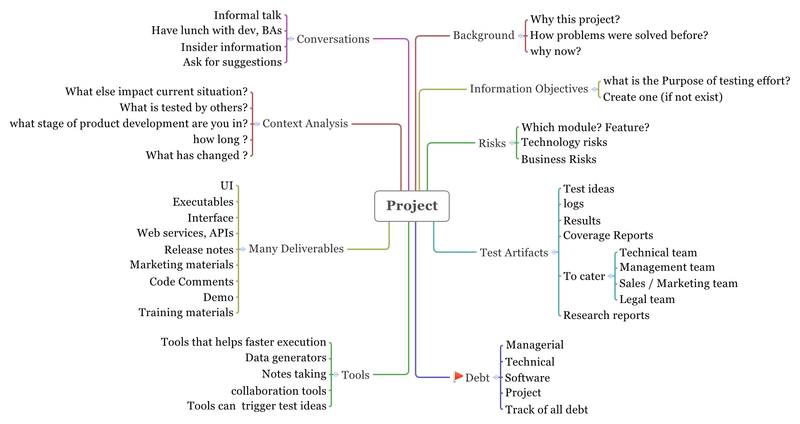 Apart from this, I blog exclusively on mind maps here.